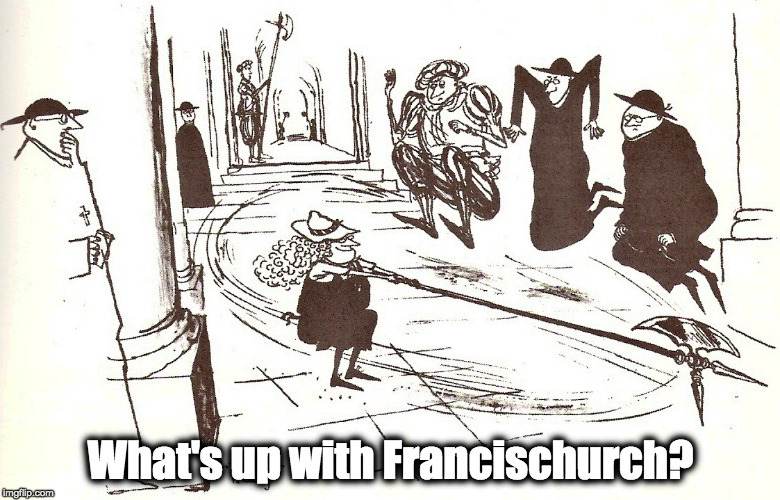 BWWWAAAAAAHAHAHAHAHAaahahahahaaaaaa… – What's Up With Francis-Church? I posited the other day that he hired Jameth Martin EthJay because Spadaro has blocked so many people no one can read him anymore. The sight of Jorge Begoglio fill me with an inexplicable and pervasive sense of dread and loathing. What’s with all the smiley faces? Cardinal Dolan too. Oh, that’s right. Joy is a virtue. “Blessed are they who mourn . . .” When you see photos like this one, you have to ask: what’s so funny? 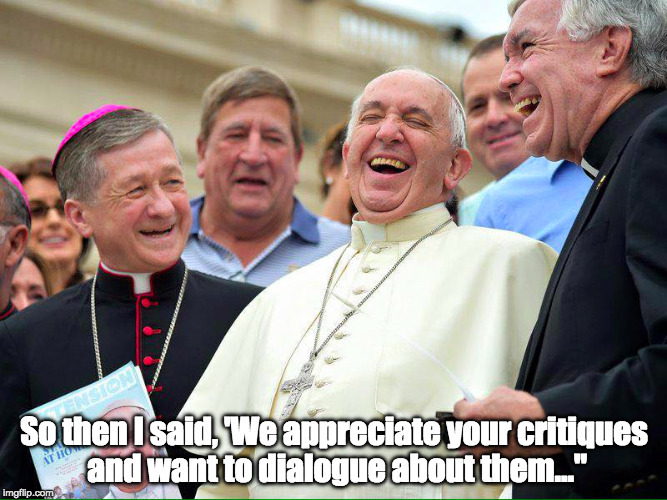 A man like Jorge Bergoglio, who has no comfort to extend to innocent children when they ask why there is suffering in this world, always seems to have something to chortle about himself. Is his the “joy of the Gospel,” or is it something else? All the Amoris crowd has to offer, in the last analysis, is paganism’s “eat, drink, and be merry,” for tomorrow you’ll either win the Big Lottery of Heaven, or else you will stop existing altogether.